Frugal & Fabulous: Hot Holiday Gift: Flirty Aprons for $19.99! 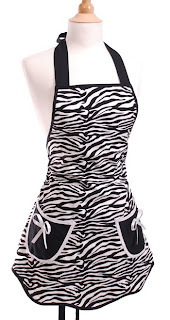 Hot Holiday Gift: Flirty Aprons for $19.99! Flirty Aprons is currently having a great sale! From now until Saturday, November 28 their new Scalloped Aprons are simply $19.95 (Orig. $29.95)! Thanks for sharing this, I want one!! So cute!